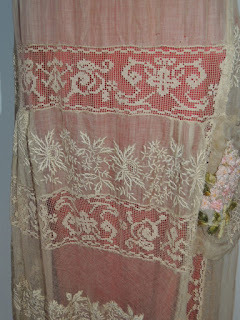 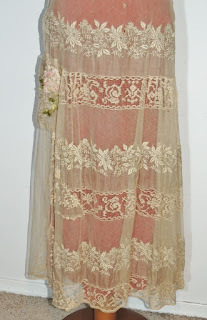 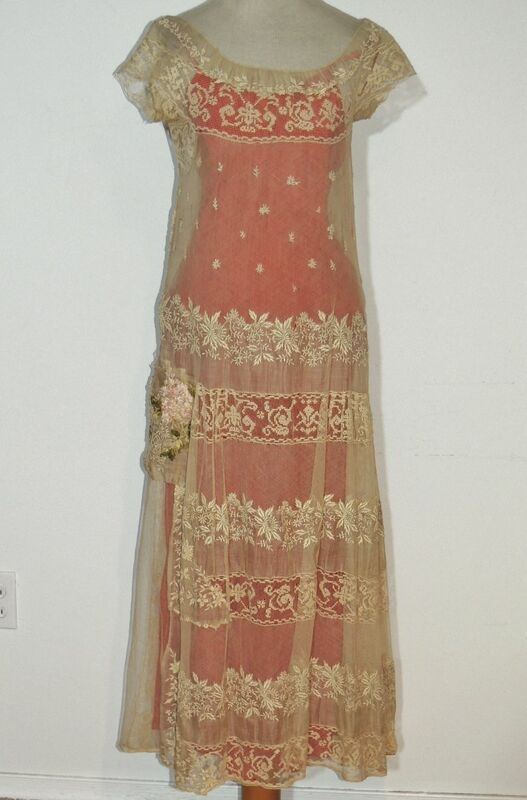 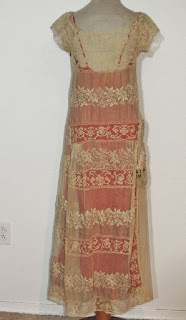 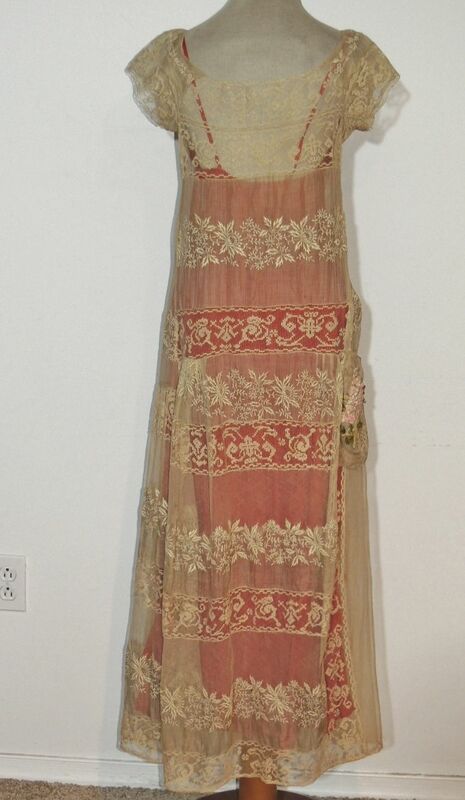 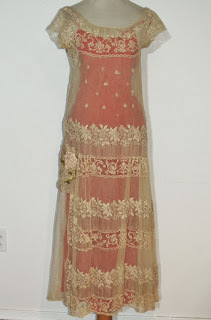 This beautiful 1920-30's dress is made from wide bands of lace, fine cotton with hand embroidery and soft tulle. 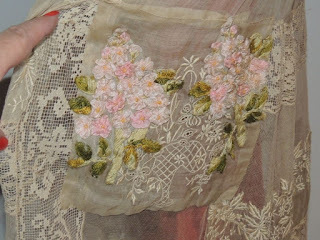 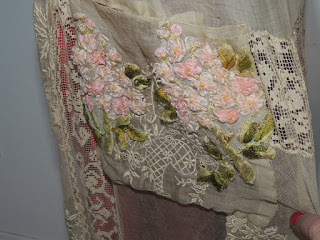 It has lace cap sleeve, drop waist with a little gathers on the sides and a patch pocket with hand embroidered leaves and pink silk ribbon flowers. 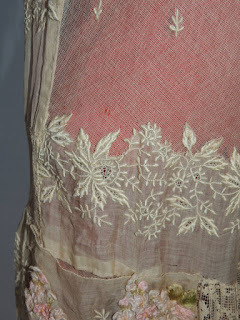 It has a few pin holes, there's a very light, small spot on the side of the dress approx. 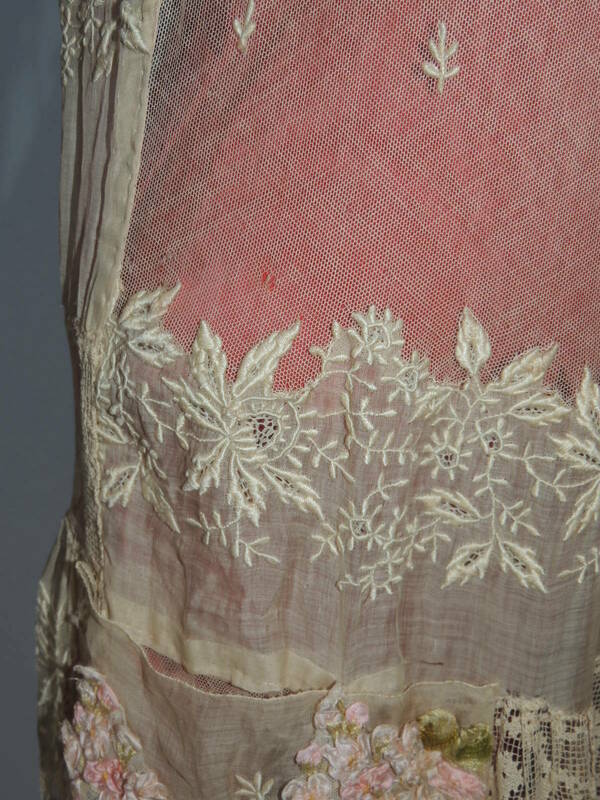 waist level it might have had a bow on the side, there are a few needle holes that look like something was removed. 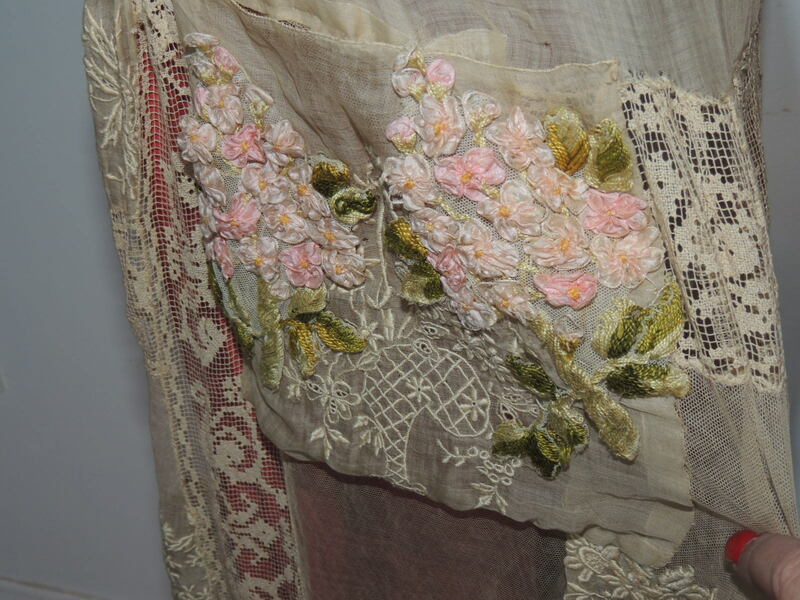 It would perk up if you soaked it, but I would remove the pocket, the silk flowers have a few petals that have minor wear, I wouldn't wash that, but overall in excellent vintage condition. Needs a slip, I put it over a red one, but it needs an ivory or pink slip. 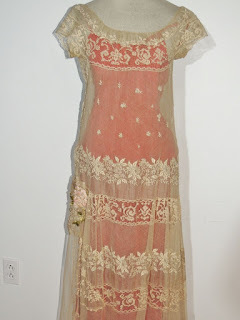 This so reminds me of a Boué Soeurs styled dress. I love those designs. 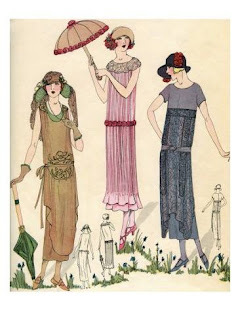 Very feminine but also very very stylish for the 1920's. 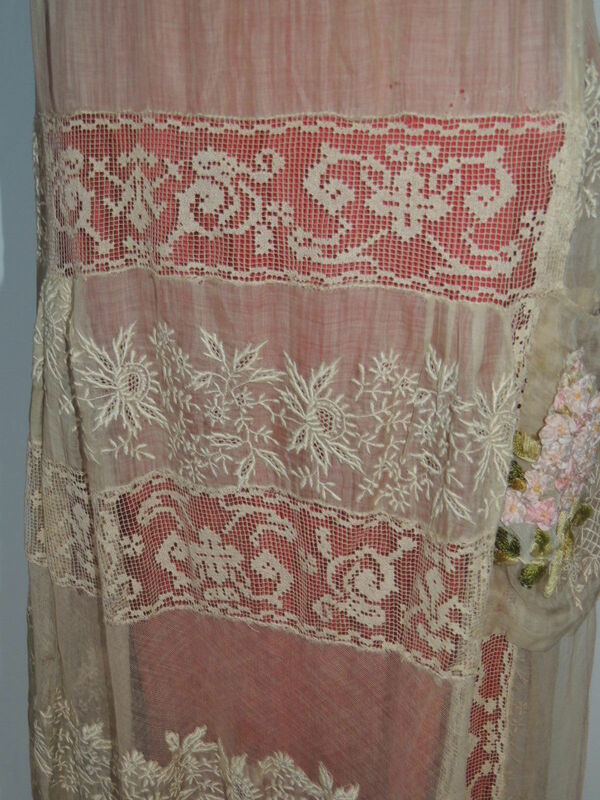 The pink dress in the middle has the same lines as the extant dress.